rigorous learning and the Common Core. Technology provides access to a much wider and more flexible set of learning resources than are available in classroom alone. Technology connects to software but also a wider and more flexible set of “education resource,” including teachers, parents, experts, and mentors outside the classroom. We've created a platform for Out of School Time Learning to be aligned with common core and new generation standards allowing our activities to integrate seamlessly with the existing classroom lesson plan. Personalized - paced and tailored allowing "content connection" aligning content, theme and standard to student interests and prior experience. Our lessons connects culturally relevant, high quality STEM materials and project based learning activities that motivate kids to learn. We help schools and districts find, select and integrate lesson planning content and interventions. Our trained team of professionals create activities for learning and personal growth that stress academics, knowledge, skills, abilities, and attributes required for STEM discovery and innovation. The Digital One Room Schoolhouse (DORS) - Our equity analysis of high school course taking patterns/completion rates give districts. A review of a districts' curriculum and assessments process to make recommendations on new 21st Century content, mentorships, wrap-around services and community asset mapping. Calculus Roundtable works to educate parents on how to prepare and support their children's pathway to college. Our model is what we call 'The Self-Advocating Student'. Broadly defined, a Self-Advocating Student is an individual who is comfortable identifying and verbalizing needs, challenges, weaknesses, or struggles, and taking action to access assistance. It's also a student who has the support of a caring adult who can direct them and support their aspirations. A Self-Advocating Student is a student who is comfortable approaching an instructor, in person or by email, with questions regarding an assignment, a grade, or a request for a recommendation letter. A Self-Advocating Student is a student who knows when and where to find appropriate resources when struggling academically, financially, or personally. A Self-Advocating Student is a student who understands the value of making things happen, rather than letting things happen. 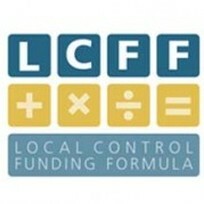 For a complete list of services and their outcomes for districts.